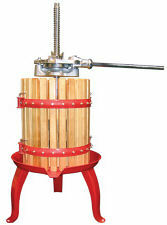 The perfect way to make your own healthy fresh wine, cider & fruit juices at home! The instruction manual includes great recipes for Syrups, Ciders, Sauces, Wines and More. A simple and fun tool for the whole family.